The Enve SES is stuff of dreams and legends. If you can afford the significant price tag that comes attached to it, you will be purchasing yourself an outstanding wheelset. 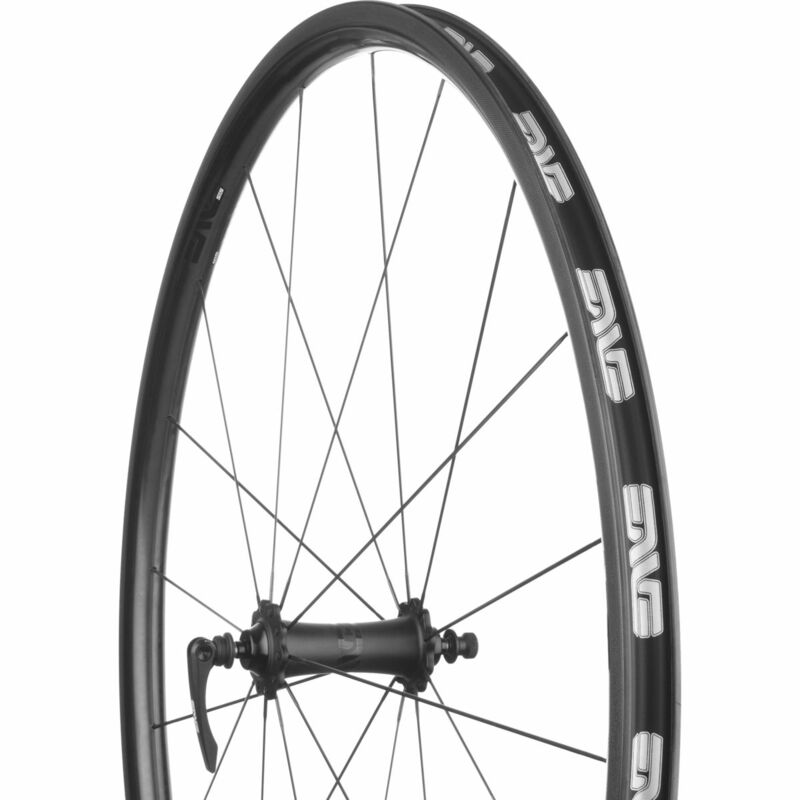 The Enve SES scores particularly high on design, speed, and handling. It is not exaggeration to say that most professional cyclist have the Enve SES on their wishlist. If you want a bike that is finely tuned from top to bottom, then it is going to need to be equipped with this wheelset. The downside to this, of course, is that you better come prepared to pay an arm and a leg for the privilege. It is difficult to know where to start with the Enve SES so let’s begin with one of the more innovative features on the wheelset. This is the fact that the front wheel and the back wheel have different rim depths. The front is shallower by several millimeters than the back rim. If you are wondering why this might be, it is so that the handling on the Enve SES is elevated to the next level. The rims are also quite deep which undoubtedly adds some overall weight to the wheelset. Nonetheless, this easily counteracted by the construction. Filled with anticipation we hopped on our bikes, the Enve SES, spinning away. It is noticeable immediately just what a difference these wheels make. You get a smoother, more balanced ride that really picks up the speed like you need it to. There is also a definite impact from the lopsided rim depth and it made the bike a lot more responsive. If we were to complain about something, it would be the brake track. These perform beautifully and help the bike stop on a dime. At the same time, they are definitely not doing your brake pads any favors. The Enve SES really is the best that money can buy and is all that you need and more from a wheelset. Owning the Enve SES may be a pipe dream but it is certainly one that is worth holding on to.